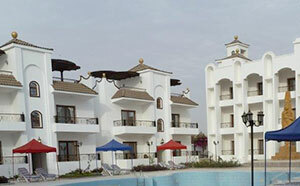 Our hotel offers you various possibilities for a special stay in Abydos. You can choose for a room in one of the three well equipped apartments, or one of the 44 chalets, that surround the swimmingpool. 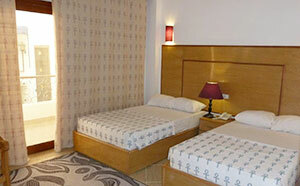 All rooms are supplied with two beds. For your meals there are two restaurants, there is a tea garden, a cafetaria, bazaars, a garden, terrasses, a fitness room and a refreshing swimming pool with pure water from our own source. You want more? Our center also offers ancient Egyptian health and healing treatments. 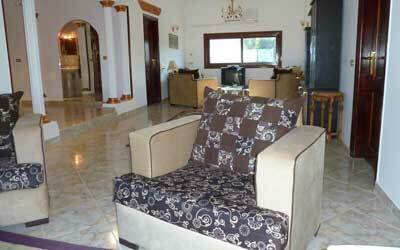 In the House of Life there are 3 well equipped apartements, each with 4 double bedrooms. 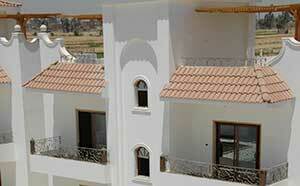 Each room has a balcony and air-conditioning for cooling or heating. Each apartement has a television, two sitting areas, a bathroom with shower, bath and toilet, a separate toilet and a kitchen to make your own coffee or tea. Do you want to experience the profound effects of ancient Egyptian treatments and culture during your stay? For guests of our apartments we offer a special arrangement which includes a two day visit to Luxor and an excursion to Dendera, ancient Egyptian massages and feetbaths, soundhealing and various consults. The price of this arrangement is €885,-. (excl. entrance fees and tips). An arrangement of 14 days costs €1420,-. You want to stay longer, have questions. Please contact us or book now. Around the swimming pool there are 44 charming chalets for two persons, each chalet equipped wih television, airconditioning, a bathroom with shower and a toilet, a kitchenette, a balcony and spacious shared roof terrace with a view on the farmlands and the desert hills. Do you want to experience the profound effects of ancient Egyptian treatments and culture during your stay? 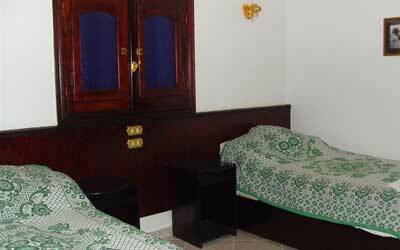 For the guests of our apartments we offer a special arrangement which includes a two-day visit to Luxor and an excursion to Dendera, ancient Egyptian massages and feet-baths, sound healing and various consults. The price of this arrangement is €870,-. (excl. entrance fees and tips). An arrangement of 14 days costs €1600. Our Panorama restaurant offers you a beautiful view on the temple of Sety I and the mountains. You can have your lunch or dinner in a heartwarming Egyptian atmosphere. We welcome both groups and individuals. During your stay you may also book some treatments. Ask at the reception for the possibilities.